NEST FEST 2019 will encapsulate the story and vibe of a community of artists who are reshaping the New Zealand music industry landscape. Focusing on the music, and coming to the heart of the Hawkes Bay on January 12th 2019, Nest Fest is bringing New Zealand’s music lovers together for a handpicked line-up of both world-renowned bands and Kiwi upstarts alike. 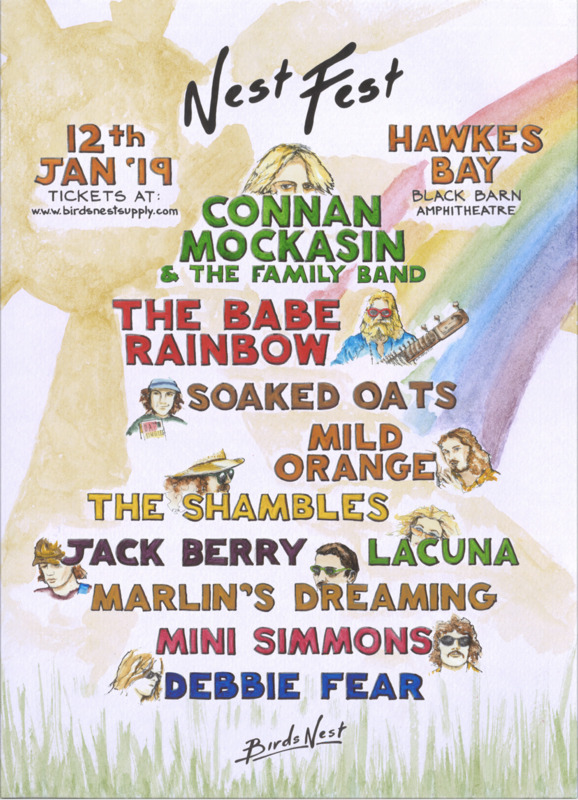 Following the release of his newest LP Jassbusters, Connan Mockasin will be taking to the stage with his ‘Family Band’ to join eight other New Zealand artists & one set of Australians, all amongst the sun-drenched vines of Black Barn Vineyards. Join us for an iconic day of summery musical celebration of the good vibes & high tides that have birthed New Zealand’s most exciting music culture in recent years.